How To Prioritize Quality Over Quantity In Your Digital Strategy. How many of you struggle with TIME..and how to prioritize your time spent on digital and social media marketing to get the results that matter to your business, faster? 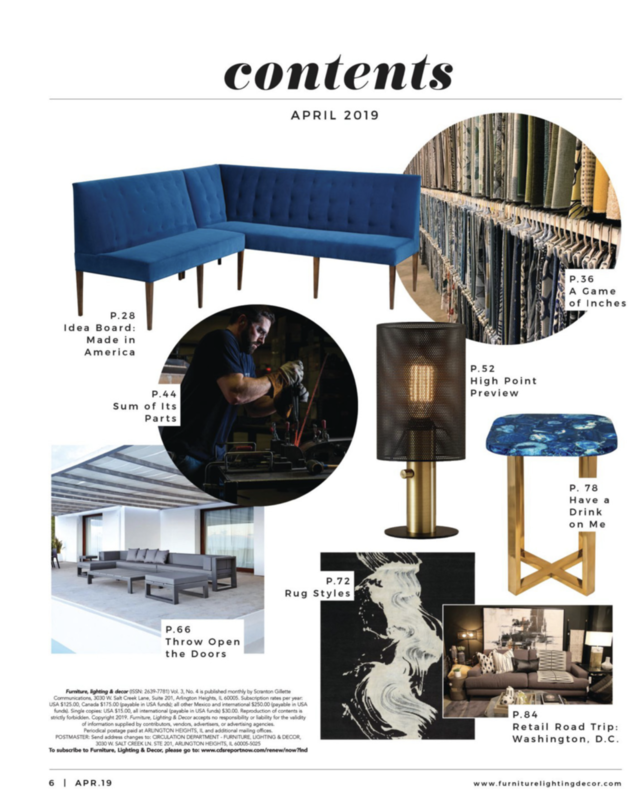 This article I was interviewed for in the April 2019 issue of Furniture, Lighting and Decor Magazine will give you some insights that I hope will help you. Furniture Lighting & Decor Magazine’s new editor in chief, Diane Falvey, attended my keynote presentation at the January 2019 Lightovation tradeshow at Dallas Market Center and the 3 deep dive presentations I gave there, too, on Google My Business, Facebook Advertising and Instagram. Later, Diane asked one of her editors, Katie Caron, to interview me for the April edition of her magazine. The article, *How To Prioritize Quality Over Quantity In Your Digital Strategy*, is live now, and I invite you all to read it, below. If you’d like to see it in the magazine itself, please click here. 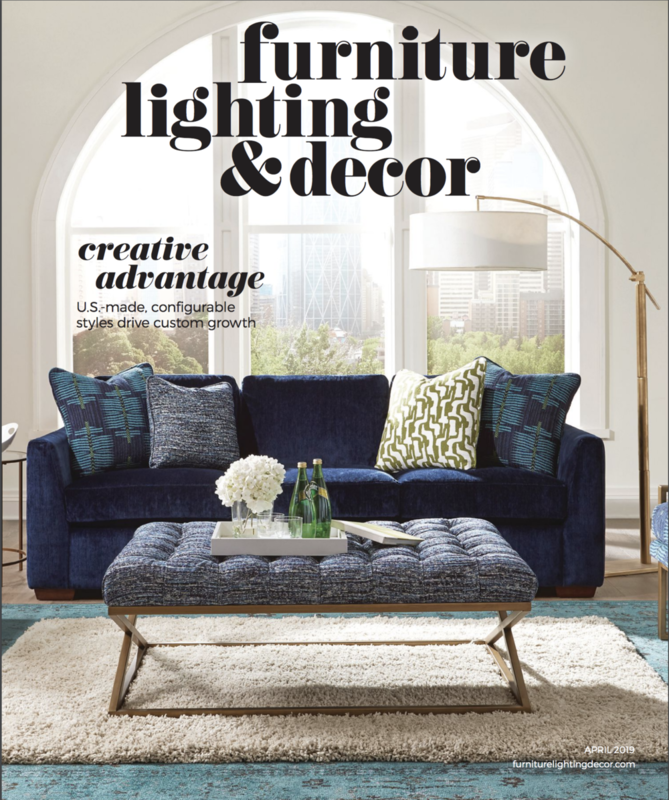 This #HPMkt issue of Furniture Lighting & Decor Magazine also contains some other great articles that I know will be of interest to many of you, and I invite you to see the contents pages below. Personally, I enjoyed reading FL&D’s article, Throw Open The Doors, showcasing the importance of the outdoor living category to a growing number of retailers and designers. As many of you know, at the upcoming #HPMkt this week, I will be there partly to support our wonderful client in this niche, Gary Pettitt, the CEO of Seasonal Living Trading Company, showing in Interhall 310. Make sure you are following their Insta Stories, here. Gary’s company is a 5x #ArtsAward winner and Arts Award Hall of Fame member. 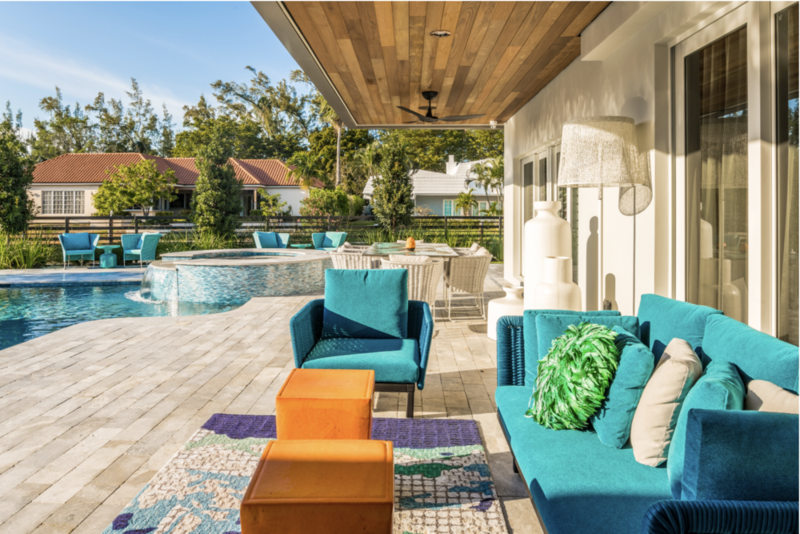 Recently, he was sent images of a gorgeous collaboration between one of his Seasonal Living dealers, Judith Norman in Miami, FL and Dawn Elise of Dawn Elise Interiors in Ft. Lauderdale, FL. Working together, Judith Norman helped Dawn custom order a blue ETNA volcanic stone dining table that you will see in the post below. See this STUNNING table on Seasonal Living’s post, here. The below image is a sneak peek of the whole project. I think many of you know that Issue 5 of Seasonal Living Magazine, (hashtag: #SeasonalLivingMagazine) a consumer focused luxury lifestyle publication ( vs. trade focused as FL&D is ), will be going live this week. Sam and I design and produce this digital magazine for Seasonal Living Trading Company and are so excited to share this newest edition with you. We hope you will get your complimentary subscription delivered right into your inbox by clicking here. And we hope you will subscribe to Furniture Lighting & Decor magazine to keep up with all the latest in industry news by clicking here! . Diane and team: thank you again for including me in this latest issue, I appreciate it! And for readers of this post who are interior designers? For more tips on digital strategies that will help you propel your businesses powerfully forward, please join my free Facebook Group, #DesignWealth, where you will find hundreds of free tips to help you #DesignWealth into your businesses, 24/7. Lastly, if you are a manufacturer, retailer or interior designer looking for high level strategic help with your digital marketing initiatives to help you move your business powerfully forward, faster, or for a resource to help you design your own onsite digital publications and newsletters so you can #designwealth, 24/7, into your businesses, please reach out to me at leslie@savourpartnership.com. Follow me on Instagram here, and here.